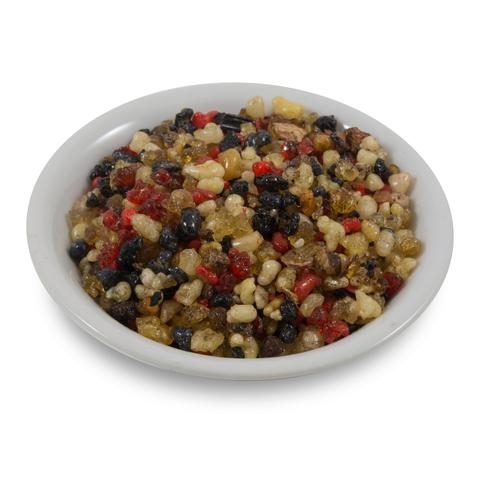 Three King's Incense is one of the most famous, most sacred incense blends available. Created to celebrate the Three Kings, or Three Wise Men, and the wisdom and magic they possessed. The Three King's are highly celebrated in a large portion of the world on Three King's Day. It is commonly used in celebration of these holy men, other holy and spiritual celebrations, daily prayers, to welcome guests and to cleanse a space from negativity and bad spirits. Some even use it to draw prosperity to the home. Three Kings resin incense is produced from an ancient recipe combining three of the most prized resins: frankincense, myrrh and benzoin. Recommended to create an atmosphere for deep meditation, prayer and tranquility. This produces a 100% natural, pure, spiritual blend to add depth to any spirtitual work or worship. This is a traditional practice used in temples, churches and other sacred places for thousands of years. 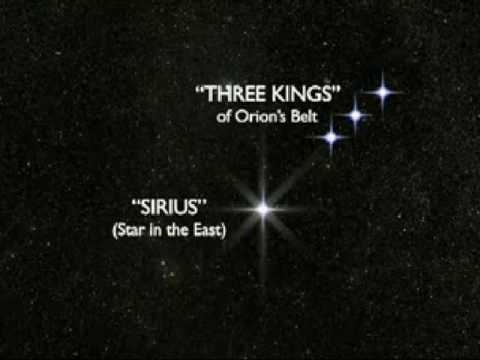 There also happens to be three very conspicuous stars in the "belt" of the constellation of Orion that are also called the "Three Kings." Moreover, as French philosopher Simone Weil (1909-1943), herself a Christian, remarked, "The Christians named the three stars of Orion the Magi," revealing esoteric knowledge of Christian astrotheology, regardless of when it was first adopted. 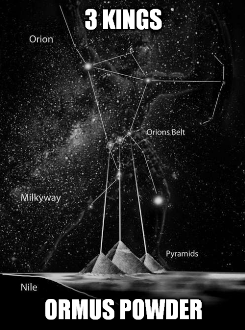 In addition, one of the brightest stars in the sky is that of Sirius, which, along with Orion, was a favorite of the Egyptian priesthood for thousands of years, keen observers of the skies as they were, and well aware of astronomical phenomena. Not a few people have thus equated this bright star and these wise men in Christian tradition with these revered celestial bodies within Egyptian and other mythologies. "Rather than representing a 'historical' event surrounding the birth of a Jewish messiah, the star at the coming of the savior can be found in the myths of Egypt." In reality, rather than representing a "historical" event surrounding the birth of a superhuman Jewish messiah and divine Son of God, the stellar appearance at the coming of the savior can be found in the myths of Egypt, particularly concerning Osiris, Isis and Horus. One only need look at the stars to know the story. Also, this explains why nation after nation had the same story of the Sun-gods. They all studied the stars. The star in the east is Sirius, the brightest star in the night sky, which on December 24th aligns with the three brightest stars in Orion’s belt. These three bright stars in Orion’s belt are called today what they were called in ancient times "the three kings." And the three kings and the brightest star Sirius all point to the place of the sunrise on December 25th. This is why the 3 kings follow the star in the east in order to locate the sunrise: the birth of the sun. The Virgin Mary is the constellation Virgo, also known as Virgo the Virgin. Virgo in Latin means virgin. Virgo was also referred to as the "House of Bread," and the representation of Virgo is a virgin holding a sheath of wheat. This house of bread and its symbol of wheat represents August and September, the time of harvest. In turn, Bethlehem, in fact, literally translates to "House of Bread." Bethlehem is thus a reference to the constellation Virgo, a place in the sky, not on Earth. There is another very interesting phenomenon that occurs around December 25th or the winter solstice. From the summer solstice to the winter solstice the days become shorter and colder, and from the perspective of the northern hemisphere, the sun appears to move south and get smaller and more scarce. The shortening of the days and the expiration of the crops, when approaching the winter solstice, symbolize the process of death to the ancients. It was the death of the sun. And by December 22nd, the sun’s demise was fully realized for the sun, having moved south continually for 6 months, makes it to its lowest point in the sky. Here, a curious thing occurs. 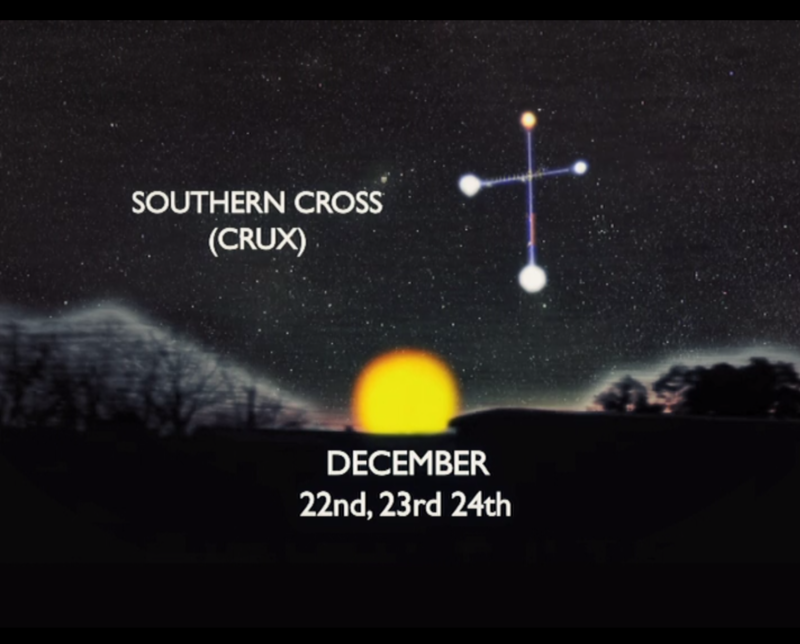 The sun stops moving south at least perceivably for 3 days and during this 3-day pause, the sun resides in the vicinity of the Southern Cross, or Crux constellation. And after this time, on December 25th, the sun moves 1 degree this time north, foreshadowing longer days, warmth, and spring. And thus it was said: "The sun died on the cross, was dead for 3 days, only to be resurrected or born again." However the battle of light with darkness (temptation) continued until the vernal equinox and only when the days became longer than the nights were the ancient astrologer priests happy to celebrate the sun's rebirth. So, the birth of god was at the midwinter solstice but he was fully born again at the vernal equinox (spring). 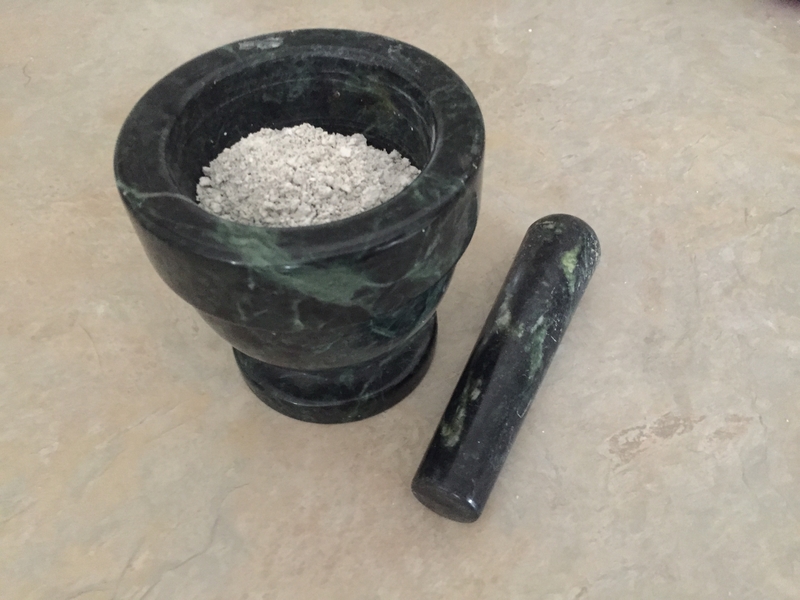 I made this Ormus Powder by taking Organic 3 Kings Resin and blending it up in warm aetherically charged water to make a tea. Then after filtering I adding organic dolomite lime I preformed the John Hudson method. After washing it 7 times it's now an off white Ormus powder ready to in-joy.